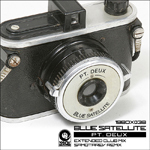 19BOX RECORDINGS returns with a new EP from the notable young producer BLUE SATELLITE with the single – “Pt. Deux” as a follow up to debut single “Paris”. There is no “Pt. Un” prior to this release, but it will be on the track listing of his forthcoming album. The Original Club Mix revolves around hard hitting synth chords and chopped-up guitar samples which sit on top of growling 8Bit elements. SAMOTAREV from Russia delivered remix. 19BOX RECORDINGS returns with a new EP from the notable young producer BLUE SATELLITE with the single – “Pt. Deux” as a follow up to debut single “Paris”. There is no “Pt. Un” prior to this release, but it will be on the track listing of his forthcoming album. Inspired by Japanese fusion sound, “Pt. Deux” is a ravishing release worthy of a prime position in your CD wallets. The Original Club Mix revolves around hard hitting synth chords and chopped-up guitar samples which sit on top of growling 8Bit elements. SAMOTAREV(ALEXEY SAMOTAREV) is known as a member of the Rostov-on-Don-based Russian project PYTHON. He is also a label owner of GREEN SNAKE RECORDS. Recently he’s been focusing on solo work, and has had positive feedback from JOHN DIGWEED, EELKE KLJEIN, NOEL SANGER, SPOOKY and amongst others. 19BOX RECORDINGS drop their brand new album “Okinawa Lounge Sessions”. This is a follow up of the still brilliant “Bali Lounge Sessions”, which was the latest foray from 19BOX RECORDINGS into the chillout genre that focus on famous resorts of the world. GENUINE FAKES is the alias of a famous Japanese producer who wishes to keep their name unknown. Since he has never released lounge/chillout music, he chose the alias as a way to be listened without prejudice. The GENUINE FAKES name originates from JOHN MYATT, who has been described as “the biggest art fraud of 20th century”. 19BOX RECORDINGS drop their brand new album “Okinawa Lounge Sessions”. This is a follow up of the still brilliant “Bali Lounge Sessions”, which was the latest foray from 19BOX RECORDINGS into the chillout genre that focus on famous resorts of the world. The 2nd Installment in the series is set in Okinawa, which is Japan’s southernmost prefecture, consisting of 41 inhabited islands and 16 uninhabited islands. Okinawa has the only sub-tropical climate in Japan and is a major tourist destination for the Japanese. GENUINE FAKES is the alias of a famous Japanese producer who wishes to keep their name unknown. Since he has never released lounge/chillout music, he chose the alias as a way to be listened without prejudice. The GENUINE FAKES name originates from JOHN MYATT, who has been described as “the biggest art fraud of 20th century”. After the name behind the alias watched a documentary on JOHN MYATT on TV, he decided to use GENIINE FAKES moniker since he is releasing within a new genre. 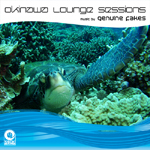 “Okinawa Lounge Sessions” spans across several genres. “Desert Sea” is similar to WILLIAM ORBIT’s “Strange Cargo” series. “Because Of You” has unique sound in between reggae and house – which in turn will see a single release of dancefloor-driven remixes on 19BOX RECORDINGS in the very near future. “Mimi-Chiri-Bouji” is a well-known Okinawan traditional song that will take you into the world of a Japanese holiday. 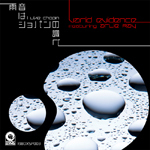 19BOX RECORDINGS has also included the wonderful MANUKAN remix. He hails from Okinawa and has produced since 2002 - releasing tracks on some of the hottest techno labels. 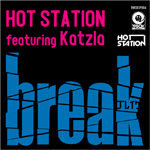 He has also done remixes for artists including RYUKYU UNDERGROUND and many others. In addition he released an album under URU moniker, which focused on an assimilation of traditional Okinawan music and techno.